Blogger allows you to create 100 blogs on one account, but it does not mean you should uselessly create a site that not even sound attention-grabbing. More often, people creates one site and jumps on to create another one while the older sites remains abandoned for years and keeps on collecting bulks spam comments. Probably, you would like to disable, or delete such sites which are causing problems including, Spammy comments, crappy content and etc. 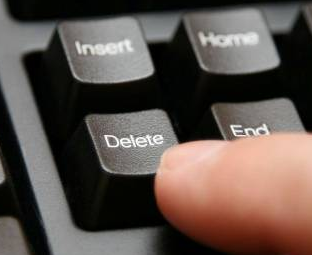 In this article, we will show you How to Delete Your Blog in Blogger? You can delete, download your sites data and import new posts within the same area. To delete your site the first thing you need to do is to go to login into your Google account. After logging in, from the dashboard go to Blogger.com >> your site >> Settings >> others and Proceed to the next step. Now at the top of your screen, you will see a “Delete Blog” link just press it. Caution: make sure you are deleting the correct site. However, you can always recover your site back anytime you like from the list of “Deleted blog” located at the Dashboard. Now a new widow will pop out asking you to confirm the removal. Lastly, press orange “Delete the Blog” button and the deletion wizard would take place, and your site would be removed, nobody would be able to access it anymore including the crawlers or the visitors. Anyhow, if you wish to recover your site back then go to the dashboard and select “Deleted Blogs”, from the right side of your screen. It will take you to a new page, Press “Restore” button present just beside the title of your site. We hope this small but useful tip would help you in getting rid of useless sites on your account. However, use this function with caution because you could lose your site for no reason. Make sure your site is not violating Blogger content policy because they can also remove your site for spam.